The National Karate Institute is located in the Rt. 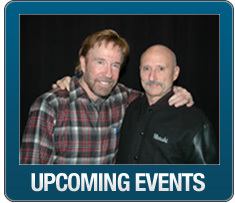 97 plaza at 401 Main Street in Salem, N.H. We have been offering instruction and training in martial arts since 1994. The National Karate Institute has produced champions in life as well as in the martial arts.It is headed by World Martial Arts Hall of Fame members Hanshi Richie Bernard and Kyoshi Stephen Hewett. 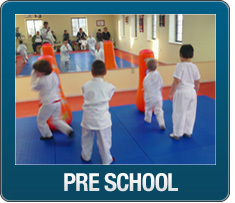 The National Karate Institute serves students from every age level starting at 3yrs. old. 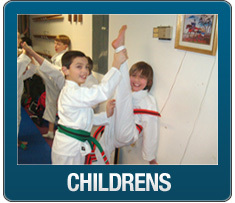 The National Karate Institute provides a fun and safe family style atmosphere providing a special and unique education. We teach much more than kicking and punching. We teach applied geometry by working with all the angles that encompass a circle, pyschology as it relates to the dynamics of thought processes and its effect on our emotions, history(the martial arts has a rich historical background), kinesiology as it relates to martial art movements, anatomy and physiology incorporating how the body works for optimal speed, power and leverage to defend oneself against offenders of all sizes. Many of our pre-schoolers(3-5yrs. old) can name the major muscles of the body. They can count to 10 in Japanese as well as name many Japanese karate techniques as this is our styles country of origen. This helps their mind become more receptive to learning other foreign languages. Our school also sharpens each student's mind to improve their memory and produce faster recall and thought processes. This is accomplished through movemens that challenges students mentally, physically and emotionally. The gross motor moves incorporated in our school draws the students attention in and improves their focus and level of concentration. It is a wonderful activity for those diagnosed with A.D.H.D. Our curriculum helps our students to excel in school. It prepares those in the workforce to excel to high management level positions because we instill in our students confidence so they are not easily intimidated. Our students are taught to be strong leaders who are able to think quick ly under stress and make good decisions even under pressure. 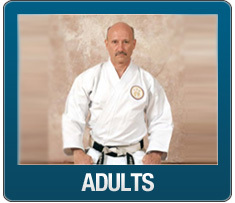 A black belt in our school propels our students to the top of the admission and resume pile as college officials and presidents of leading companies know the value of accomplishing a Black Belt in Martial Arts. 99% of our Black Belts have been accepted into every college they applied to!